No, I haven’t been in a car accident, and no, I don’t have a neck injury. These are a few things I have heard when I suggested going to see a chiropractor to a newly pregnant friend (or sister). 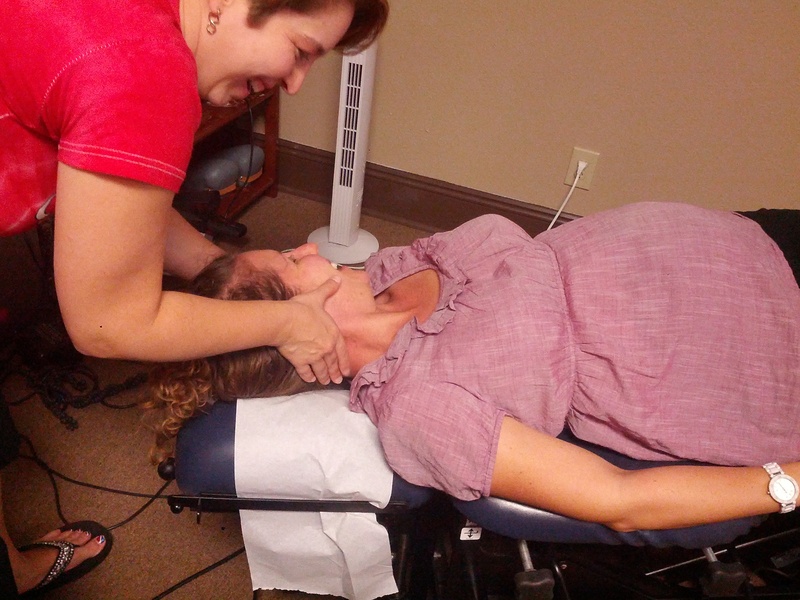 I started going to the chiropractor weekly when I was two months pregnant with baby #2. My holistic group on facebook constantly talks about getting adjusted to solve just about everything, so after hearing it enough, I decided to give it a try. I had been to a chiropractor when I was in college, but never thought to keep up the maintenance of it. My mom often goes because she has some pain, but never thought I needed it if I felt well. Chiropractic is the science, philosophy, and art of detecting and correcting vertebral subluxations to restore normal nervous system function and increase a person’s life potential. Since going crunchy, I’m learning all kinds of alternative tools that can help people, especially without the use of drugs. It may be a hard concept for some people to wrap their heads around…skip a pain pill and go get an adjustment, but I think it’s worth a shot. 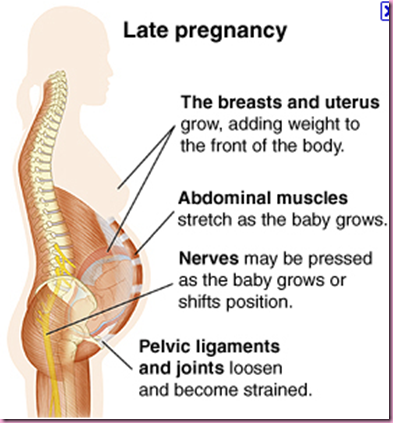 I knew I had heard of pregnant mamas getting adjusted and it totally turning a breach baby around, so I thought, that’s got to be something. (Just don’t wait until you’re 38 weeks pregnant!) The more I learn, the more I realize it can help a thousand aliments! The way I settled on my chiropractor was from a lady I had found from my holistic group who happened to actually be close to home. I was going to one that was about a half hour away (when not pregnant) and that was totally stressing me out. They also wanted to put me on a weekly plan to come in 2-3 times each week for several months, so I stopped going. I love living in Dallas but sometimes the driving gets old. Chiropractic care for any age group allows for better communication between the brain and the body. Since the brain controls everything from how our heart beats, to how our food gets digested, to our immune system functions, chiropractic care for children can help the body to heal itself from things as simple as the common cold, ear infections, and colic to more severe things like hearing loss, neurological issues, and mobility limitations. I contacted this new doctor and went in for an adjustment. I also decided to take Emma for ‘general health’ since I knew kids and infants can get adjusted, too. (Additional info here) I really didn’t know what chiropractic care could do while pregnant, but the doctor informed me that it would help open my pelvic floor so I was able to deliver vaginally (which is the goal this time around). She also said it’s good because our bodies/spines are constantly shifting from the things we do every.single.day. And if you’ve been pregnant or currently are, you know baby puts a lot of stress on your body and is constantly adjusting your organs, etc. Emma and I have been going every week, using our HSA to pay for it, and love the tradition it has created. We swing by Dr. Kristi’s office, head to Earthwise Gardens, then to Natural Grocers. I will say this last trimester has been a doozy for me, though, and I told my chiropractor that I’d come see her everyday if I could. I know I can’t complain too much, but when it’s hard to simply walk, it gets difficult doing day-to-day tasks to stay healthy. The best part is watching Emma get excited to go see the chiropractor, and at the same time get upset when we pass her house (and don’t stop for an adjustment) on the way to pick blackberries. When we get there, she’ll say, “Mommy I’m going first,” then kicks off her shoes and hops on the table. She then comes home and ‘adjusts’ Josh when he is lying on the floor. I’ve seen her get the ‘popcorn’ out of his neck and am quite shocked at how rough she can be with him. She’s even makes him roll to his stomach so she can bend his legs to check for alignment. Who knows…maybe we have a future chiropractor on our hands! My advice is to give it a try, whether you’re pregnant, not pregnant, male, female, or have an ailing infant/child on your hands. It couldn’t hurt (har har). I’ve even got Josh on the verge to go to see if she can get rid of his pesky migraines…it’s baby steps for now. What about you? Do you go or know someone who does (prego or not)? Has it helped? Are you scared of the popping of the neck and refuse care even if it could help? PS-Here’s a link if you need to find a family friendly chiropractor in your area: ICPA. That is tough when insurance won’t cover it. My chiropractor recently switched to a ‘box on the wall’ system, where you basically pay what you can. I think that will help a lot of people/families in the long run-which is really helpful. I go pretty regularly even when I’m not pregnant but during this pregnancy I’ve stuck to every two weeks. I feel so much better and it really does help! My insurance covers it, so it’s simply a small copay which definitely makes a difference. That’s awesome, mama! I can definitely tell it helped me and hopefully will for delivery.